Weight: 290 gr glass jar. 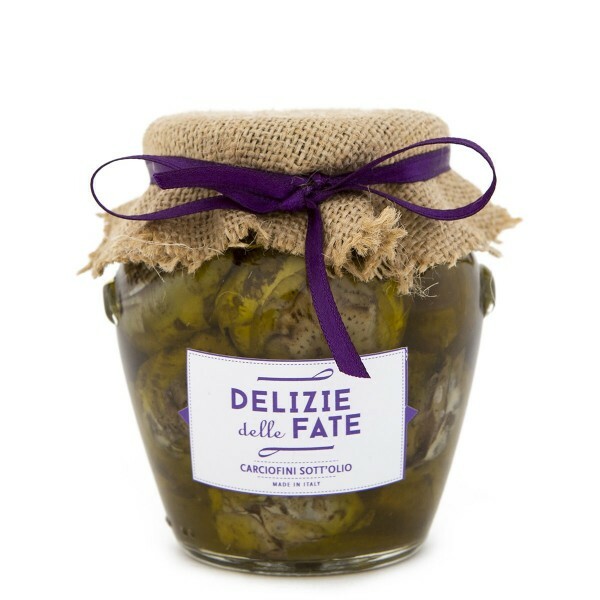 Ingredients: Artichokes 69%, extra-virgin olive oil 30%, wine vinegar, sea salt, pepper, acidifier: citric acid. Description: Artichokes treated using natural methods, with the sole addition of extra-virgin olive oil and a pinch of pepper to preserve the genuine taste of freshly picked vegetables. Try them with Ligurian fish and vegetable appetizer, “ciappe”, “brichetti” and “grissotti”.